With marijuana legalization keeping a slow, but steady pace across the United States, more road organizations and governments are studying the effects of marijuana on impaired driving, and Colorado is in the spotlight as an example of what other states could expect. Colorado began legal marijuana sales in 2014. The statistics available since legalization show a small increase in impaired driving due to marijuana, but due to difficulties in data collection as well as how recently legalization happened, the jury is still out there as to whether legalization has made the roads less safe. According to Cmdr. Sean Mandel of the Colorado Springs Police Department, one reason we don’t have an accurate picture of marijuana impairment on the roads is that police do not always test drivers for marijuana. This is because there is no way to do so without a blood test, which requires a warrant. People who police suspect of being marijuana-impaired may not be tested if that person shows clear signs of alcohol intoxication, which is easier to prove. Another problem is that the science behind proving impairment is still not completely developed. With alcohol, a driver can be presumed impaired if the driver’s blood alcohol concentration is .08 or above. 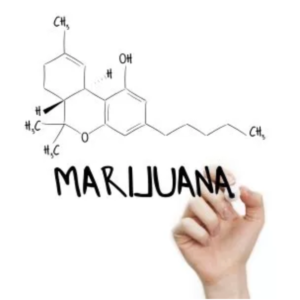 With marijuana, there’s no solid number – Colorado uses a five nanogram limit, but depending on a person’s marijuana use, this number can be extremely unreliable. A person who is a habitual smoker may have a residual marijuana level of higher than five nanograms without having smoked for several days. Denver drugged driving defense attorneys providing aggressive defense of those charged with drug-related driving crimes.